Patrick retains the Racing Championship title as he wins the South Pacific Monster Truck World Finals II racing Competition at the Brisbane International Speedway, Brisbane, Australia on November 14, 2009. After another great year of continued improvement for the Australian Monsters Tour of Destruction, the South Pacific World Finals II went off in fine fashion with some great racing and freestyle competition!!! 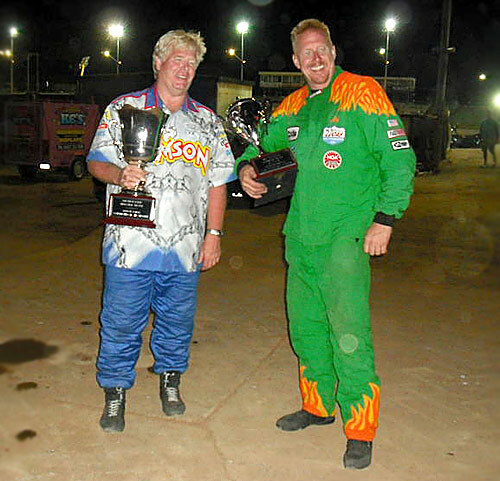 Six American drivers took on four Australians in a great battle for the 2009 racing and freestyle championships. 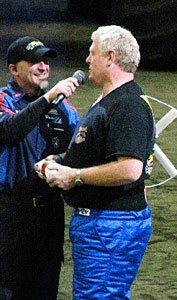 Congratulations to Jim Koehler on his 2009 South Pacific World Finals II Freestyle Championship!! A big thank-you to Clive Featherby and the Monsters Tour of Destruction for putting on a great event!! 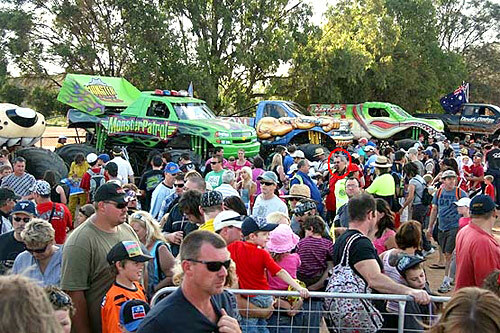 More photos of the event at www.DownUnderMonsters.com, and www.MonsterTrucksAustralia.com. in our photo gallery on our Media Page . Stay tuned! A brand new Samson truck put down its first ever jumps on Australian soil. Kreg did the driving and the truck performed exceptionally well. 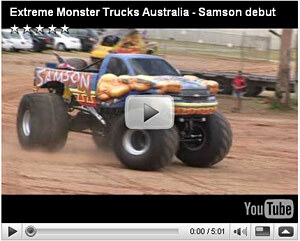 You can check out this Samson 4x4 YouTube video by clicking on the picture below. Below photos are courtesy of Darryl Smith / Monster Mayhem. You can also find other pictures of the event on this link. Read about Samson's return to Australia in the "Official Media Launch" .pdf file by clicking here. The launch will be held on November 14, 2009 at the Brisbane International Speeday in Brisbane, Australia. We invite you to attend and look forward to seeing you "down under!" 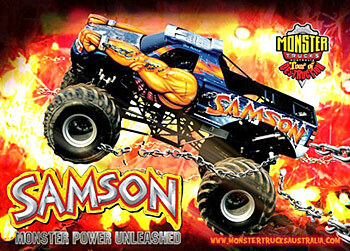 A brand new Samson monster truck is on it's way to Australia. An all-new "Patrick Chassis" built with all new components, along with a Samson body and new vinyl wra,p was completed and shipped from Patrick's shop August 25th to Clive Featherby of Queensland, Australia. Not only did the container hold the new truck, but was full of new parts for Clive's fleet of Monster Trucks. 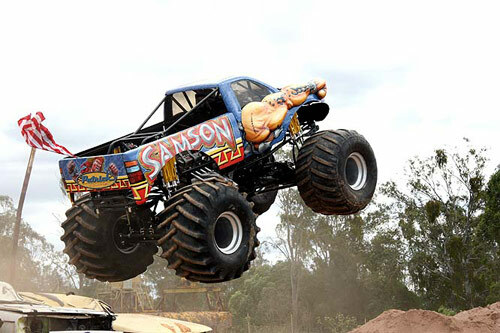 Dan will be driving the "Aussie" Samson at the South Pacific World Finals 2, Monsters Tour of Destruction, November 14th at the Brisbane International Speedway. 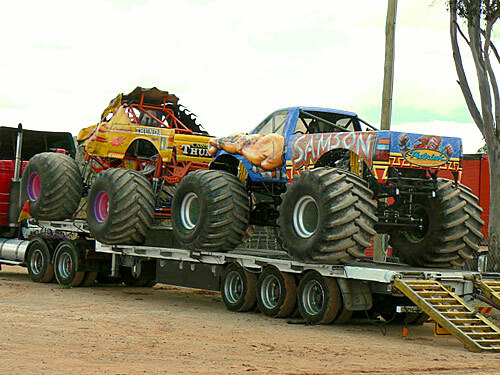 Check out the Photo of the "Two" Samson's - There will never be another picture of the two trucks together again!! Shortly after this was taken, the truck on the right was loaded in the container headed to Australia. There is a great story in PDF format that you can read by clicking here. We've got a couple of YouTube videos for you SAMSON fans. The first two links are from The South Pacific World Finals 2. 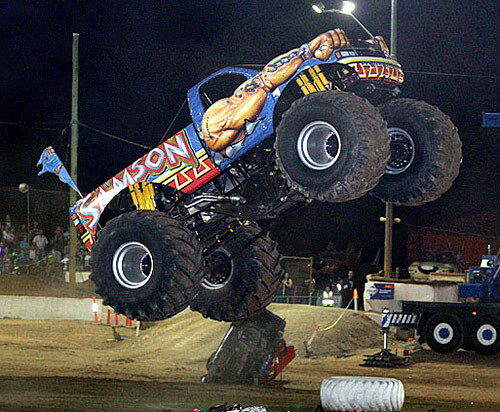 03.19.09 [News] SAMSON is going "down under" in 2009! Dan Patrick is in the process of building a new chassis with a Samson body for Clive Featherby of Queensland, Australia. 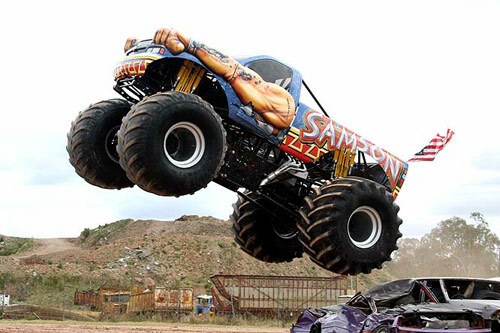 The Samson truck will be identical to the one that Dan currently races in the US. The truck will be tested in the US before being shipped to Australia later this summer. 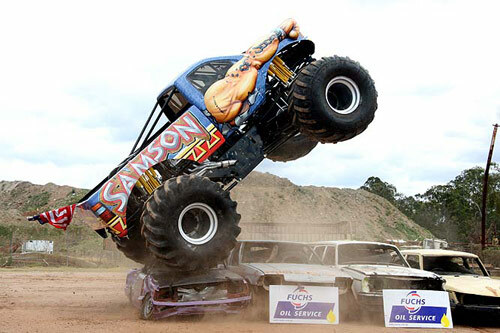 Samson will be touring Australia with the Monsters of Destruction Group. Samson merchandise will also be available at these events as well. 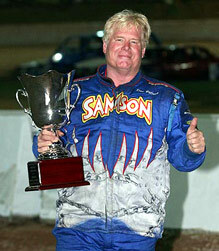 Dan is planning to visit Australia in 2009 and race Samson at some of Clive's events. It is a very sad time for us at Patrick Enterprises. We have lost a very close friend in George Eisenhart. We have in fact always considered George more than just a friend. To us, he was family. 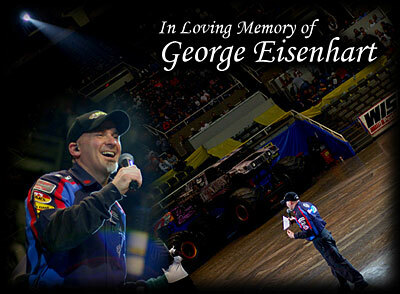 All of us at Patrick Enterprises send our most sincere condolences to the Eisenhart family. "I would like to thank my family, friends and fans for the tremendous amount of support that I received and continue to receive following the tragic accident at the Monster Nationals event in Madison, Wisconsin on January 23rd. Everything was very much appreciated."